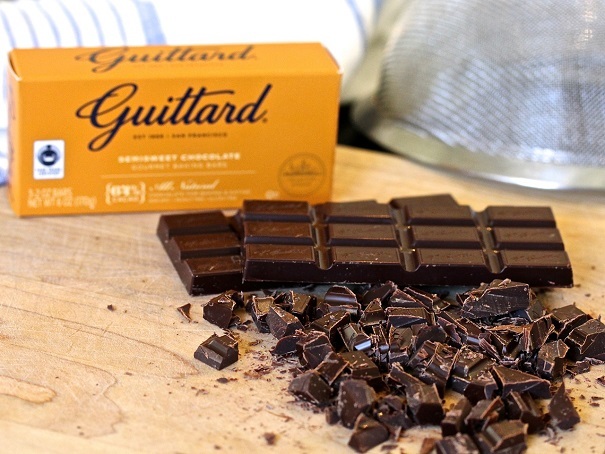 10 ounces of Guittard semisweet chocolate (64% cacao), or any good baking chocolate. Prep a freezer container for storing the balls of cookie dough in the freezer. 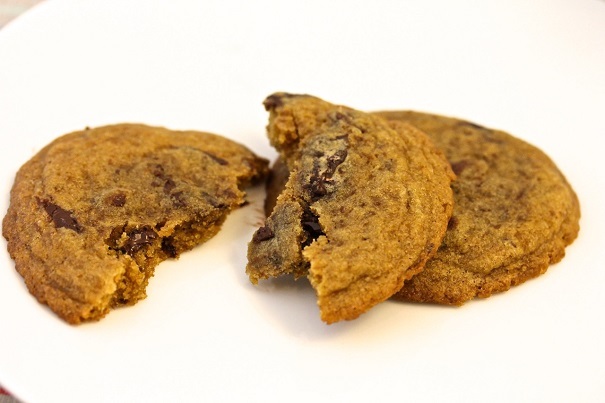 Cookies do not need to be thawed when baked; they can go straight into the oven. Sift flower and baking soda into a medium bowl, and stir in the salt. In another bowl, beat half of the butter on medium speed until smooth. Add both sugars and remaining butter, beating five minutes until mixture is creamy and light. You don’t have to worry about overbeating until you add the flour. You want to beat the sugar and butter well because you’re adding air to the cookie to make it lighter. Add the eggs, one at a time, and scrape down sides of bowl until it’s all well-combined. Add the flour, baking soda, and salt mixture and mix just enough to combine. Mix in chocolate by hand. 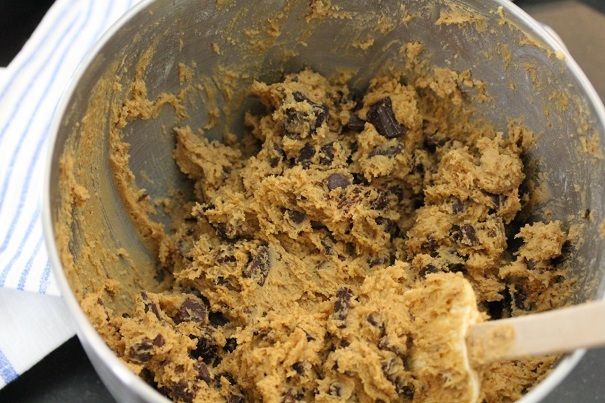 Roll cookie dough into balls of about 2 level tablespoons each in quantity. Place in freezer containers to store. When baking, preheat oven to 350 degrees. 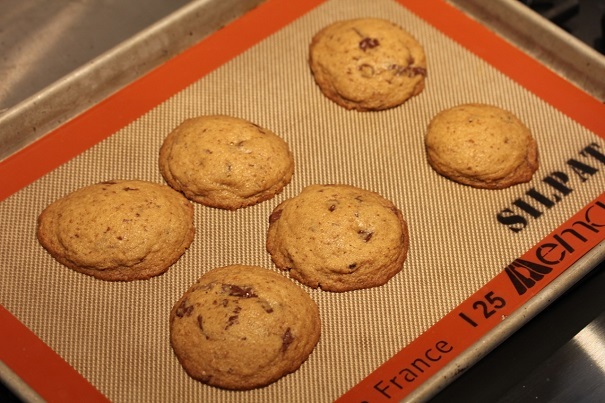 Place cookies on a Silpat-covered baking sheet, leaving several inches around each cookie, because they will spread. Bake for 12 minutes, rotating baking sheet halfway through baking. If you want a softer cookie, give them a spritz of water just before putting in the oven. 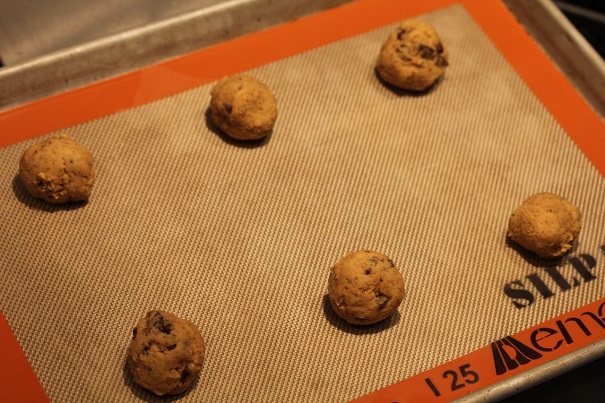 Allow cookies to cool before removing them from the baking sheet. Serve, and let the kudos roll over you like a wave of cookie dough-scented warmth. I made the recipe today thinking 36 hours was 3 days! My plan was to bake on Wednesday for a trip on Thursday. Could I just leave the mix in the freezer until Wednesday, which would actually be 72 hours? Yes! The dough will keep. I hope you love them!